Scott Staples is the Co-founder and President, Americas at Mindtree. 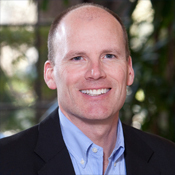 Scott brings over 24 years of experience in IT consulting and client management. As President, Americas, Scott leads the strategic transformation of Mindtree as a global service provider. Can Outsourcing Make You More 'Agile'? Agile software development has made its way into complex enterprise environments, but keeping the process in-house may be too expensive. An outsourcing strategy is a lot like a personal finance portfolio. You should diversify to manage risk. Gen Y software engineer all-stars are easy to find, but hard to retain. Try these steps to keep them happy and productive.